_ William Henry Ward was born in Patterson, New Jersey, December 26, 1828 of parents Abraham P. Ward born 1791, at Colville, New Jersey; and Mariah Van Geison Ward who was born in 1792 at West Bloomfield, New Jersey. Henry had five brothers and six sisters. We are told by the 1856 government census that the Irish and English Wards have settled in the United States to such an extent that the Ward name rates 60th as the most common name in the U.S. In the genealogy of New York Vol. 1 (credit to Gorman Kelley) we find that the Wards owe their origin to the old Vikings who made themselves not only masters of the sea, but much of Europe. The Van Geison name sounds Dutch – so we are maybe a little Dutch too. Henry left home at an early age: he learned the blacksmith trade and worked at that for three years. He then went coasting in the summer and worked at machine making in the winter. He sailed in the ship Mexicana of New Bedford on a whaling voyage; next he sailed on the ship Mechanic of New Port from Sidney, New South Wales for the Artic and Pacific Ocean; again he was whaling. He worked one year in Newark, New Jersey on one of Blanchards Eccentric Lathes. 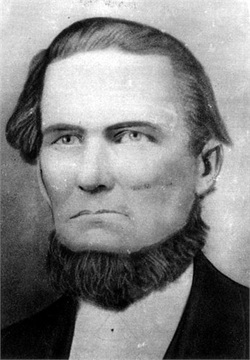 In 1855 Henry Ward started for Texas and arrived in what is Parker County; and was one of the early settlers in Parker County, owning land in the Wright School district, north of Godfrey Chapel Methodist Church and near Clear Fork. His first marriage was to Louisa Leonard, a native of Alabama; four children were born to this union, Mary Mariah, Sam P., Sarah and Prudence. After Louisa’s death Henry married Maryland (Clifton) Clement, she was born in Wilson County, Tennessee, August 18, 1836. Maryland had two children by a previous marriage. They were Willie Clement born 1853 and Elizabeth born 1855. Henry and Maryland had seven children. They were Henry who died in his teens: Marvin, married to Maggie Lafferty: Lee, married to Maude Isbell: Josephine, married Marion Barker: Emma and Joseph Roswell (Ardie) were twins, Emma married Dave Ragle but Ardie never married. He moved to California and his visits were some happy times in our lives. John died as an infant. Maryland died November 12, 1878 and was buried in Clark Cemetery. After Grandmother died, Grandfather was married to a widow, Margaret Kutch. She had a great deal to do with shaping the lives of her stepchildren, and we loved her. Grandfather was called Captain; we have never known where he got this title but think it came from his sailing days. We do know he was commissioned a 1st Lt. In 1864 at Fort Belknap, Texas. He was always interested in Community affairs and served as street supervisor in Ward one of Weatherford in 1884. 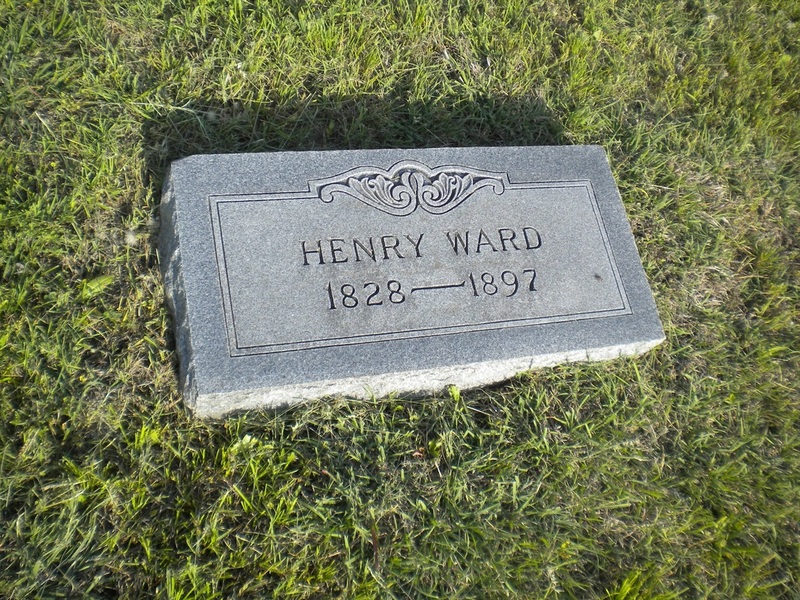 Henry Ward died in December 1897 and is buried in the family plot at Clark Cemetery near where he lived and reared his family.